Instagram is a mobile photo editing and sharing app that saw its user base explode from 15 to 80 million since Facebook acquired the company back in April. But even before the acquisition, many savvy brands had joined the platform—especially retail brands with stunning visual content. Clothing, media, and design-based brands were a natural fit for both the platform technology and Instagram’s early adopter user base. However, unlike Facebook or Twitter, Instagram doesn’t have business-specific profiles, built-in visibility or engagement metrics, or paid advertising options. By keeping it’s focus limited to photos, Instagram has carved out a unique space in the social media sphere. In essence, the genius is in its simplicity, especially when so many social platforms continue to bloat with additional features and functionality. The app has commonly used social actions built in—post, like, comment, follow, unfollow, etc.—so using the community aspects of the platform feel familiar. The other side to this app is its ability to turn almost any photo into art by using filters and other tools. Anecdotally, I’ve noticed that most users follow between 50 and 250 users. I think this is a sign of social media maturity—folks are learning from their experiences on Facebook and Twitter that following too many accounts is overwhelming. But Instagram’s technology helps you easily create stunning images that you can easily share on your other social networks. Both Facebook and Twitter have optimized how photos are displayed on these platforms and you can share directly from Instagram to those platforms (as well as to Tumblr, Foursquare, Flickr, and email) automatically or by individual selection. Both the way the platform works (the technology) and the way most users approach the platform (the user experience) allows brands to employ visual storytelling that has more continuity and artistic value than other platforms. With the absence of advertising (or even clickable links in captions or comments), business uses for an Instagram profile begin and end (for now) with awareness and branding. However, a few images that encapsulate a brand moment in a second or two is much more impactful than lines and lines of copy—no matter how brilliant the writing is. Instagram combines two of the most powerful forces in the social technology market—mobile and photo sharing—to create a platform that truly offers a unique value proposition. Brands with an Instagram presence can take advantage of that intersection where users are focusing their attention. If you sell a product or service, make sure the images you use are about the experience of using the product or service, and not a product placement ad. Starbucks is an example of a big brand that does this well. Sure their photos show lots of Starbucks cups, but their photos also tell a story—the focus is always on what the person is doing while enjoying their coffee—on the beach, reading a book, etc. There’s not a lot of tolerance for marketing that’s obviously marketing on social in general, and I would argue less so on Instagram. Keep it subtle and keep the focus on the experience or emotion your Instagrams project. Make sure your Instagram photos fall into one of these categories. Generally a humorous photo needn’t be beautiful as well. Most users aren’t posting all their random party pics to their Instagram stream and brands should exercise similar constraint. Photo albums in that vein are for Facebook. Think of your Instagram photos as high value/low volume. A general rule, don’t post more than three photos in a row or once every three hours. If you post more often than that, you run the risk of hogging your users’ feed. And don’t automatically share your Instagram photos to all your networks—editorially select and customize each one for the appropriate platform. And remember, you can use apps like PicFrame to include several snaps in one Instagram. Just be sure the images are related and the impact is magnified (rather than splintered) when you use a collage. Having the same Instagram account name and Twitter handle serves two purposes. One—your profile will be easily recognizable and easy to find. And two—if you are tagged by another user in a caption and that photo is shared on Twitter, that tag will link to your Twitter profile. 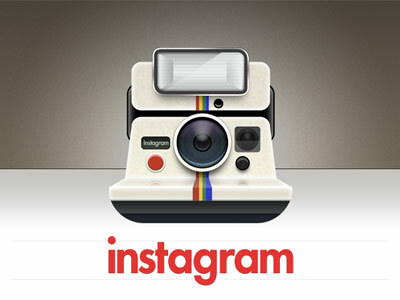 It ensures that tagging makes sense when an Instagram photo is shared on other networks. Like on Twitter, hashtagging photos enables discovery of your profile by users outside of your primary connections. You can use the search functionality on the app to find out which hashtags are often used. Like on Twitter, hashtagging Instagram photos by event, geolocation, or subject matter is a good idea. Other hashtags people tend to use on Instagram are filters and colors. Hashtags tend to be somewhat limited on Twitter due to the character length limitations. Because Instagram doesn’t have these limitations, this has encouraged some users and brands to stuff Instagram captions with every hashtag imaginable. Don’t do this—it looks like you’re trying too hard. Even worse, it makes you look like a spammer. Instagram’s focus continues to be all about the mobile experience, but the app recently added the ability to view individual photos on the web through a shareable link. This feature allows your Instagram stream to not only be seen by those not using the app, but allows those who do have an account to like and comment on a shared photo right from the web. However, using a separate web-based viewer can help you manage your presence and track your progress. Using Instagram’s API, these tools recreate your feed on a webpage, so you can view multiple photos at a time (without scrolling) on your computer. Most often you can make the same actions (liking, commenting, searching, tagging, etc.) on these web viewers that you can make on the mobile app. My favorite tool is Statigram—they even have a few basic metrics, comment notifications, and an Instagram campaign toolkit.